Lorraine Pascale- you can’t help but be jealous- gorgeous and a talented cook, it’s not quite fair really. I have looked through her books and watched her show but if I’m completely honest I had yet to try out a recipe. However a couple of weeks ago my lovely friend Ali invited us round for dinner and not only did she cook an incredible chicken noodle dish but she baked pistachio carrot cake and wait for it…chocolate peanut slabs! A perfectionist to the core, Ali’s slabs were cut identically and not only did they look incredible but they tasted it too! The trouble is they are too addictive! Even though they are quite rich, you eat one, say to yourself, wow that was great I couldn’t possibly have another and five minutes later your hand is edging toward the biscuit tin again. I left with a takeaway bag to bring home with me and ended up eating another one on the train ride home! Not good! As you can probably see from my picture the tin isn’t quite the right size and therefore the mixture wasn’t as compact as it could have been. 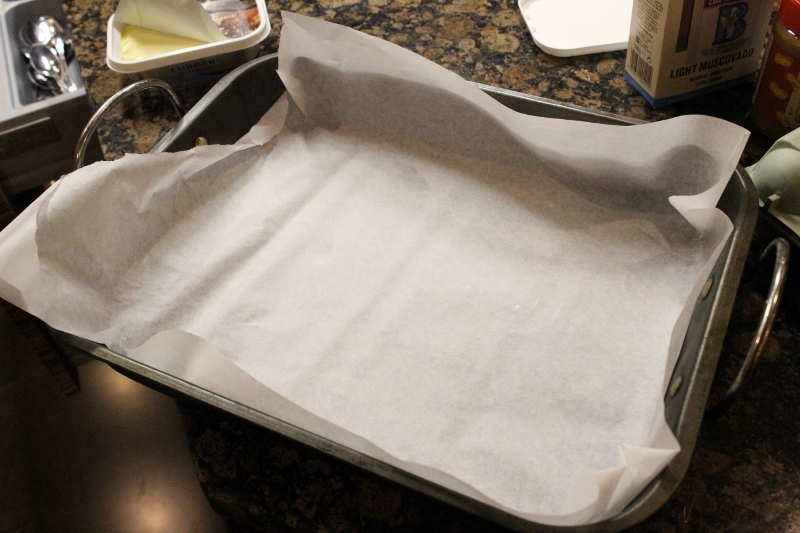 I definitely learned from it though and would advise when a recipe asks for a 20cm tin, you better use it! 2. 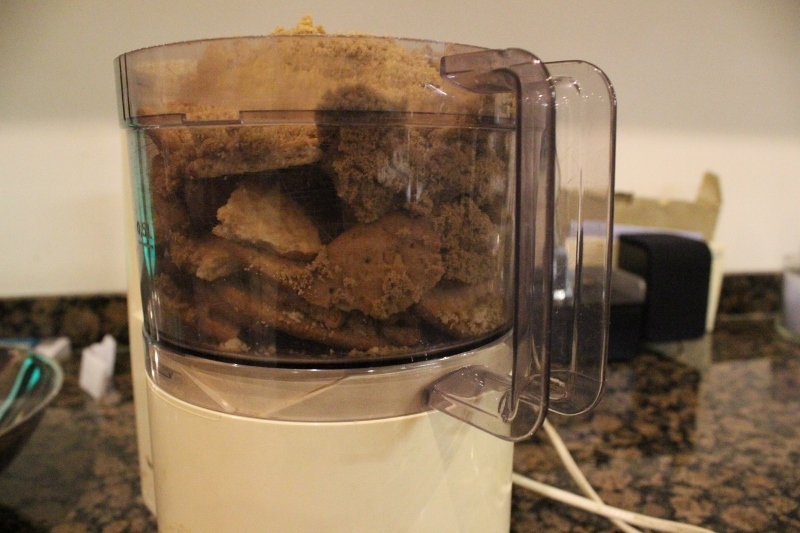 Blitz the digestive biscuits and brown sugar in a blender or food processor to give fine crumbs. 3. 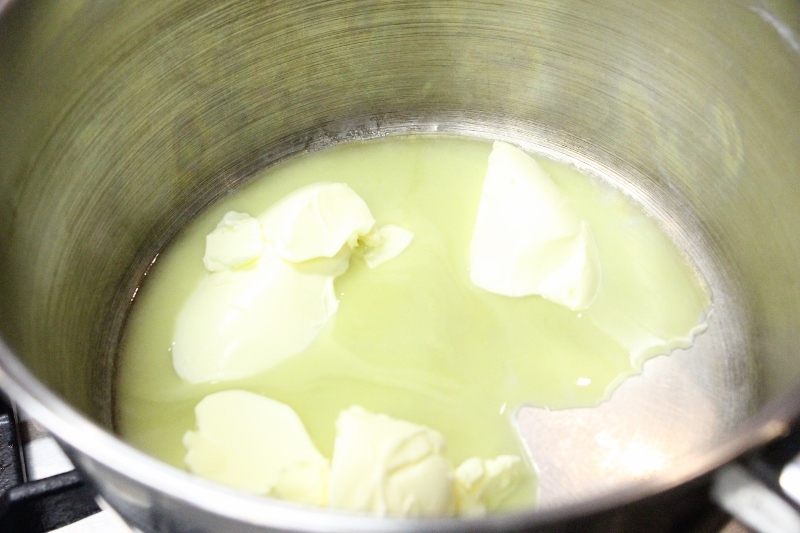 Melt the butter in a large pan over a low heat. 4. 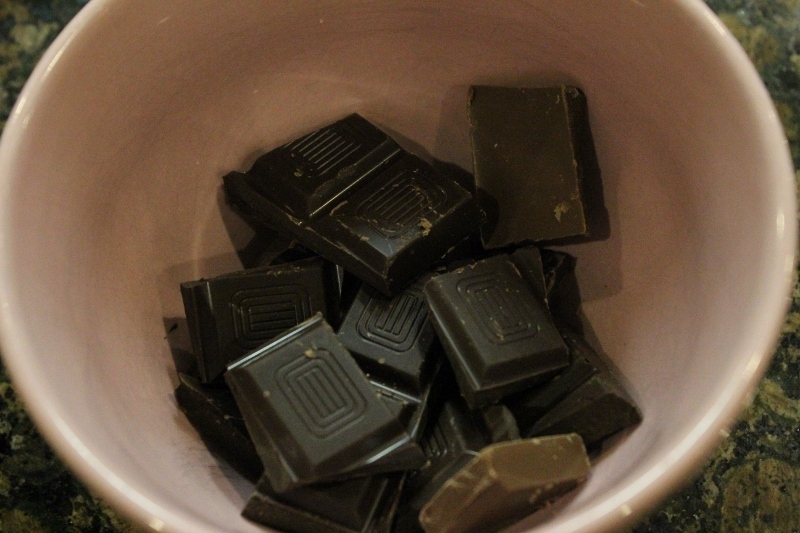 Snap the chocolate into squares and throw into a small bowl. 5. 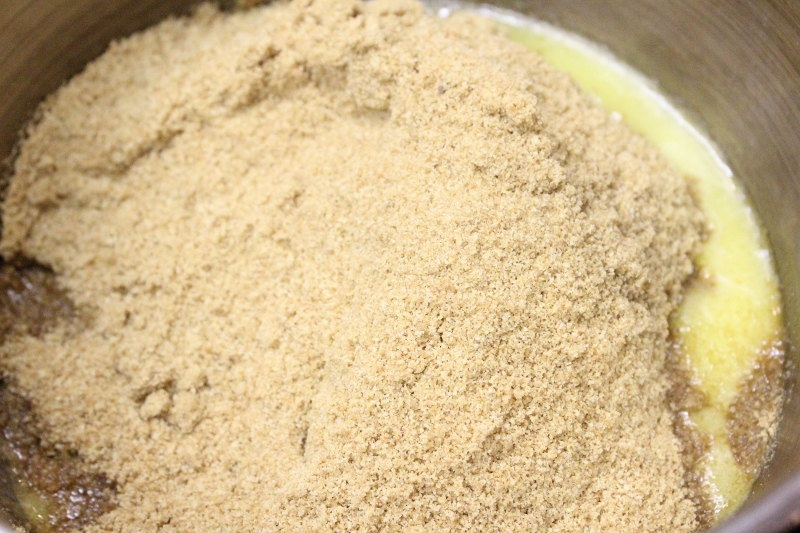 Melt in the microwave in 30 second blasts, stirring well between each addition or sit the bowl over a pan over simmering water. Make sure that the bottom of the pan does not touch the water or the chocolate may ‘seize’ and go really grainy and stiff. 6. 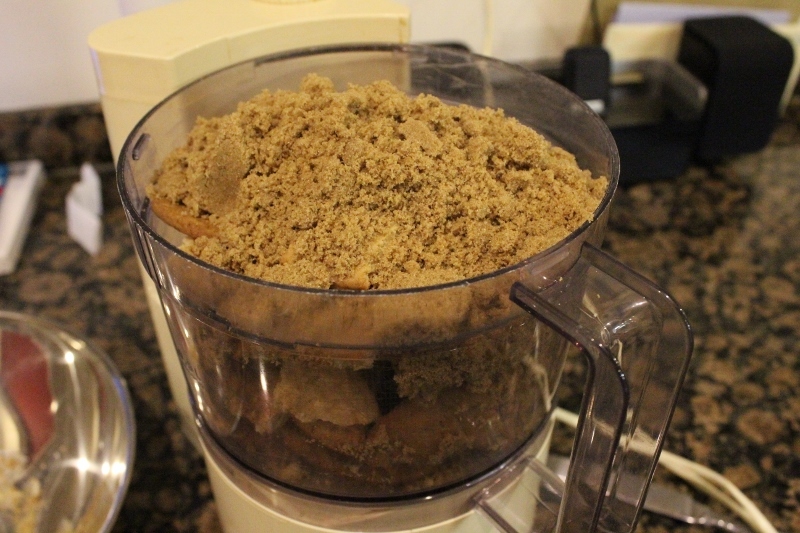 Tip the crumbs into the melted butter. 7. 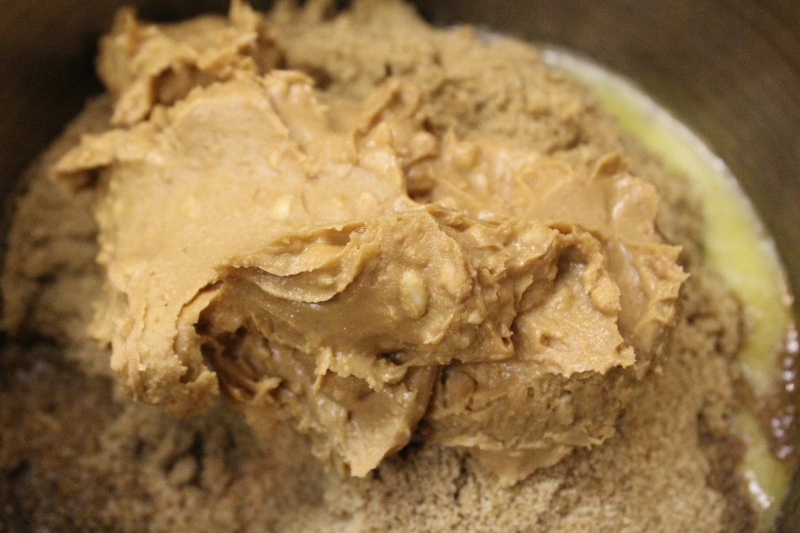 Stir in the peanut butter and vanilla extract and mix together so everything is well combined. 9. 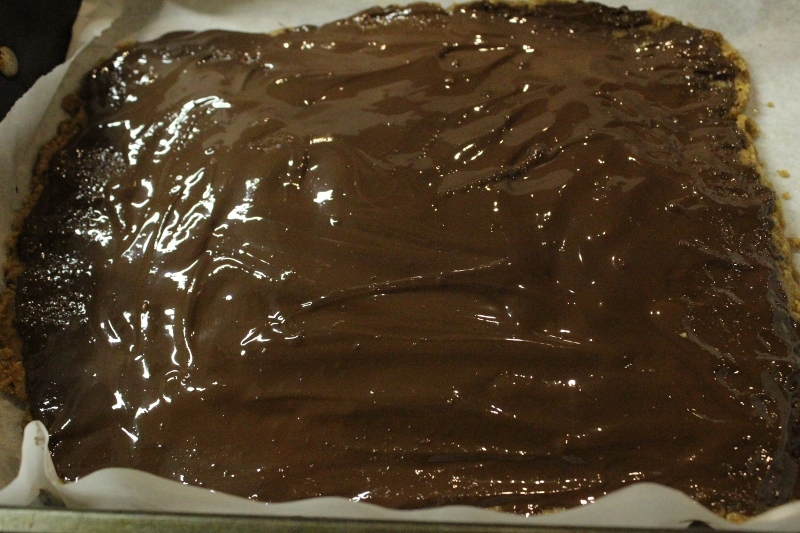 Then pour over the melted chocolate, tilting the tin back and forth a bit so that the whole thing is evenly covered. 10. 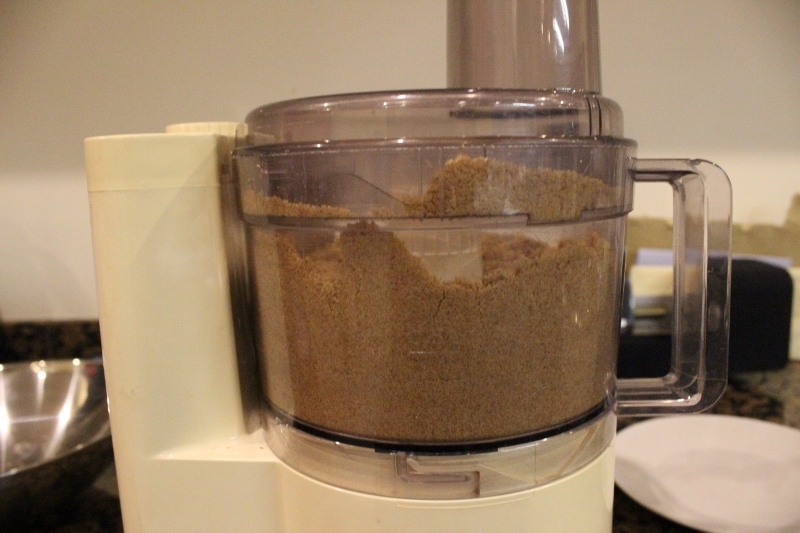 Pop in the freezer for 30 minutes to firm up (or the fridge for an hour). 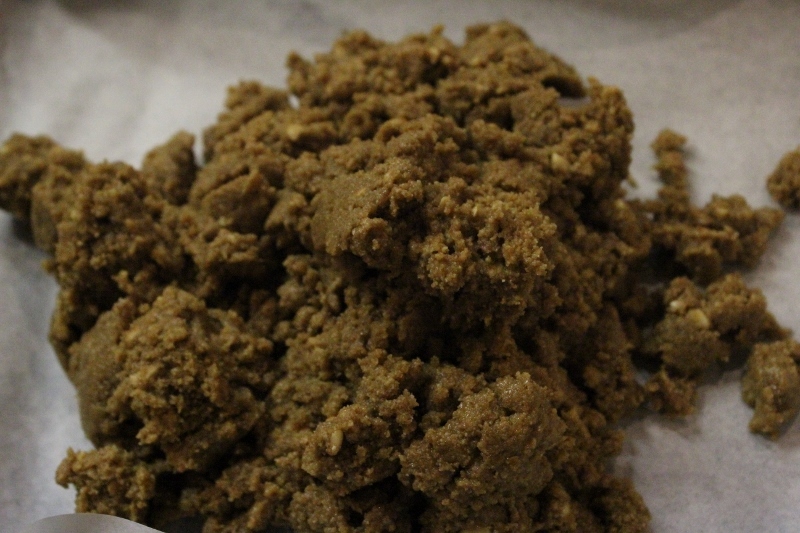 Then take it out, cut it into squares and get ready to eat! 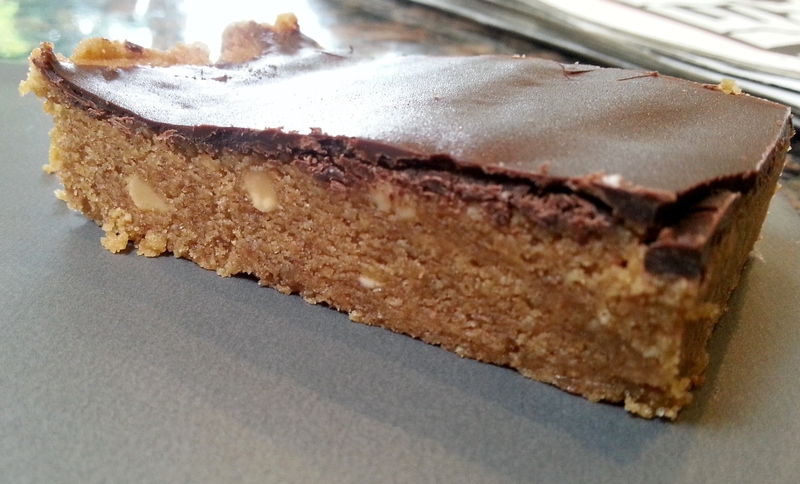 I apologise for my pictures on this post, there’s only so much you can do with a peanut slab, however, the taste most definitely beats how they look and this recipe is one I will be using repeatedly. They went down an absolute treat at work, and the following week I got to try them again as my friend Marie made them! 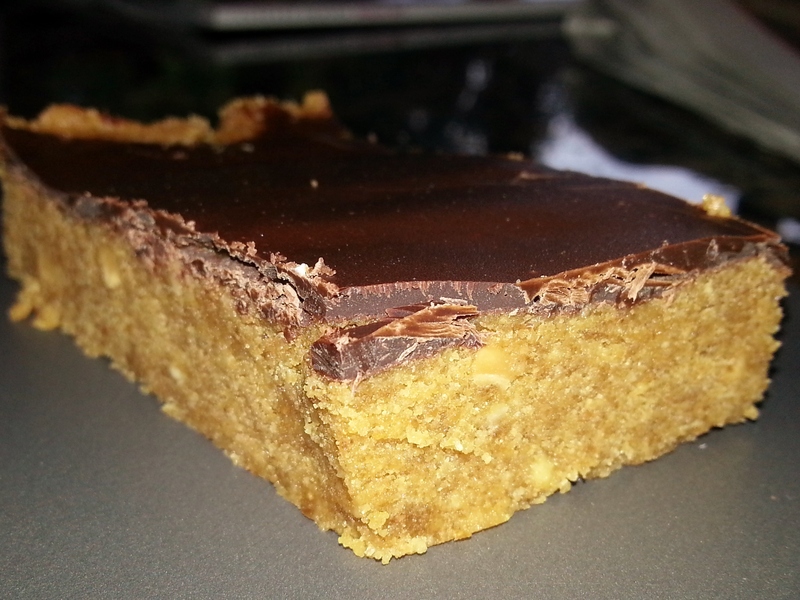 Lorraine says in her book that she was recipe testing some millionaire’s shortbread and found that she didn’t have enough of the correct ingredients. 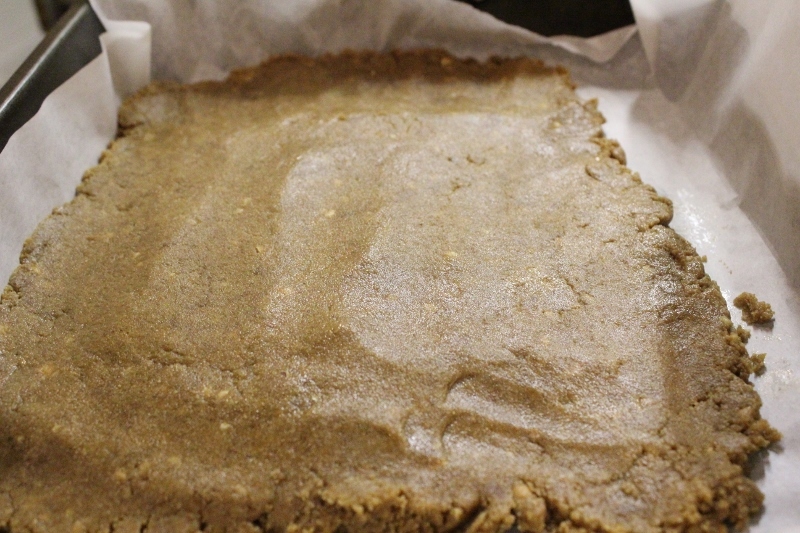 A family-sized pot of crunchy peanut butter sat in the back of her cupboard, caught her eye and inspired her for these peanut butter squares. Well all I can say to that is thank goodness for peanut butter! 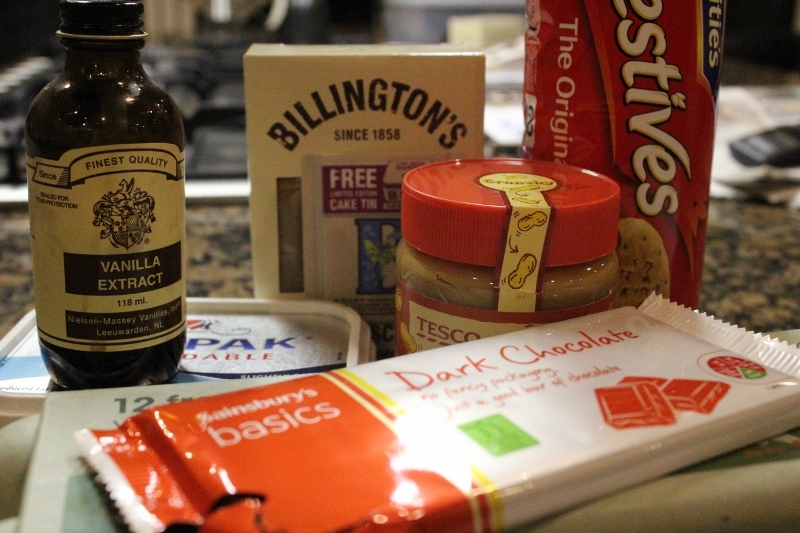 I’ll be trying it out myself in more recipes!